Soviet clone of German CARL ZEISS SONNAR 85/2, with it’s distinct bokeh, smooth step-less aperture control with 15 blades. 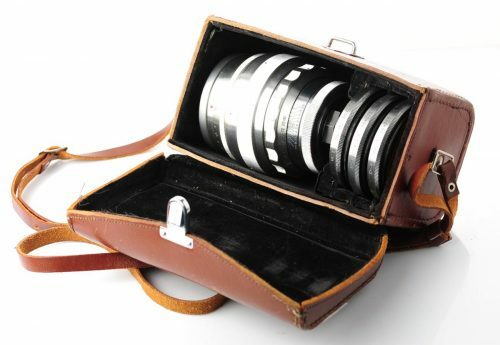 Jupiter-9, quite compact and fast portrait lens in m42 mount(Zenit, Pentax, Practika etc) – will work on modern DSLRs, mirrorless systems: Sony NEX, Olympus Pen, Panasonic G, Canon EOS M, Nikon 1, FujiFilm X etc. Made by LZOS in Lytkarino(Moscow region), this lens is a copy of “Carl Zeiss Sonnar” 2.0/85. *Note: this is m39 Zenit Thread mount lens. We include m39 to m42 step-up ring, so the lens can be used as a regular m42 mount lens, with slight limitation on focusing range. This 85mm lens will focus will not quite reach infinity with m42 adapter, but will focus far enough for even full length portraits. Aperture stops are set continuously, without clicks, which is great for videographers. The 15 curved blades form round opening throughout the whole range, resulting in smooth pleasing bokeh(out of focus part of image). Lens s/n 6906442 is very good condition! Barrel has some signs of normal use. Glass is clean and clear, no fungus, no haze, no scratches. Few light wipe marks / few internal dust particles are possible, but will not affect the image quality. Mechanics are excellent: focusing and aperture rings are smooth and uniform. Aperture blades have just a hint of oil. The m39 ZTM are lenses for early Zenit SLR cameras – flange distance is slightly different from the later adopted commonly known m42 standard. As a result this lens will not quite reach infinity focus when used on m42 cameras or via m42 adapters – but this is only noticeable on open apertures. When this 85mm lens stopped down to f/11-16 the increased depth of field significantly extends the range of sharpness. Of course using this wonderful vintage lens shooting landscapes would be a misuse. When used for portraits one would not feel this limitation. Comes with rear lens cap, metal lens hood + m39 to m42 step up ring. You may pay safely via bank deposit or paypal & have the item delivered to your doorstep. Vintage Helios-40 85mm f/1.5 – swirly bokeh king! MC Jupiter-9 85mm f/2.0 lens, s/n 8820687 – multicoated!